Fluid on the lung symptoms can be caused by many different difficulties. 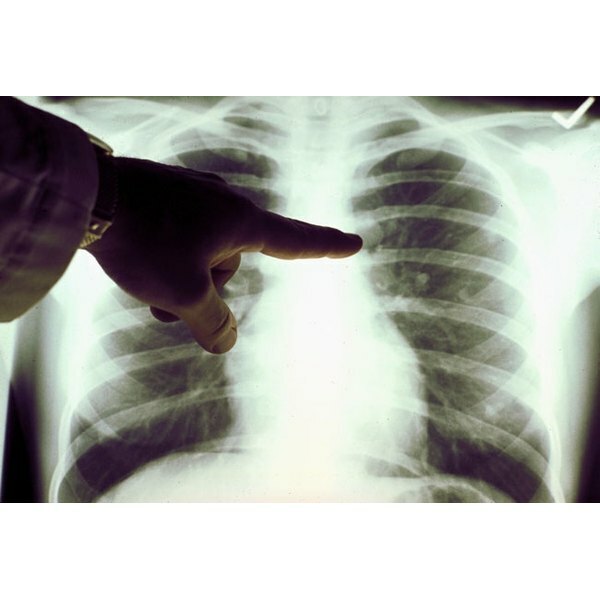 The most common is some form of pneumonia, but it can also be caused by lung cancer or most rarely, mesothelioma. As a result, it is wise to pay careful attention to fluid on the lung symptoms and get checked out by a physician quickly. Listen for raspy or rattled breathing. Especially if the rasp or rattle seems to be deep within the chest this can be a sign of fluid on a lung. It may also, of course, be higher up and associated with the bronchial tubes. A physician will be able to determine where it is located. Pay attention to a persistent cough. Do not write off a persistent cough as mere allergies or something you have to deal with. A persistent cough, either productive or unproductive, could be a sign of fluid on the lung. This could be an early indicator of lung cancer or other serious diseases and needs a full diagnosis. Look for fever, aches, and fatigue. These flu like symptoms can also present themselves when a patient has fluid on the lung. When they do, it often means that the patient has viral pneumonia, or is fighting an infection in the bronchial tubes and/or lungs. If the fever rises over 102 seek medical attention immediately. Notice and report shortness of breath. For some patients the primary symptom of water on the lung is simply shortness of breath. Fluid can gather around the lungs due to congestive heart failure, lung cancer, or viral or bacterial infection. When this happens shortness of breath can occur. See more tips on identifying fluid on the lung symptoms (pneumonia, lung cancer) below. Often an x-ray or a EKG will be ordered to test and see exactly what cavity the fluid is inhabiting. This will also help rule out any chance of advanced lung cancer. Get plenty of rest and avoid exposure to cold air while dealing with water on the lung. Drinking plenty of clear fluids is usually helpful for most causes of fluid on the lungs. Check with your physician to be sure. See related articles on this page for more health information and diagnosis assistance.